Clarksville, TN – Clarksville Online and it’s staff would like to wish you a Happy New Year. May this New Year bring you everlasting happiness and peace, success in whatever you do, and prosperity to you and your family. Begin this New Year in a very special way with your friends, family and loved ones. Have a safe and Happy New Year. Nashville, TN – The third and final segment of Tennessee’s 2012-13 dove hunting season is now underway. The final segment began on December 19th and will continue through January 15th, 2013. Nashville, TN – Tennessee Titans owner Bud Adams has made up his mind and is keeping head coach Mike Munchak for another year. However, he is letting chief operating officer Mike Reinfeldt go. Munchak had talked with Adams earlier in the day and relayed Adams’ decision at his Monday news conference. Montgomery County, TN – Montgomery County Government offices will be closed Tuesday, January 1st, for New Year’s Day. Emergency personnel will report as scheduled. 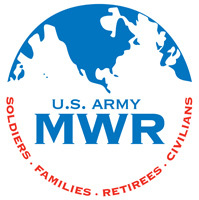 Offices will reopen Wednesday, January 2nd 2013 for normal hours. Clarksville, TN – On Monday morning, December 31st, 2012, around 2:30am, a 2007 Chevy Silverado pickup, driven by a 23 year old man, was traveling west on the 101st Airborne Division Parkway. 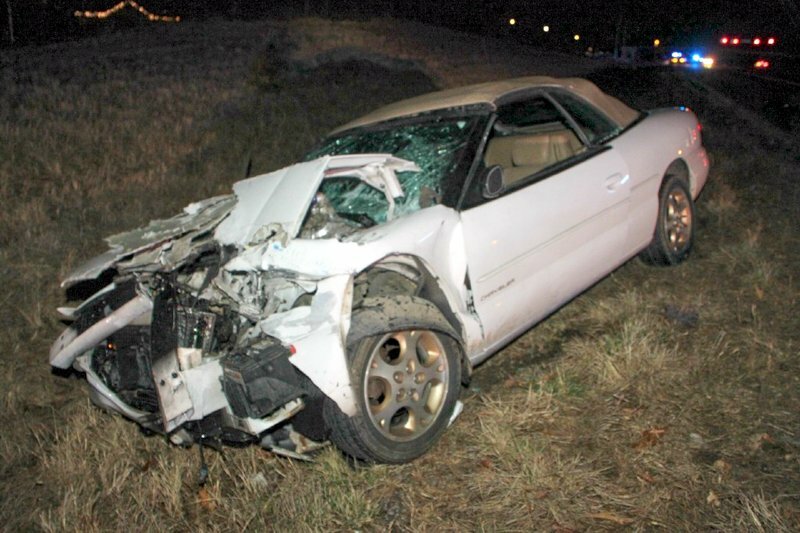 A Chrysler Sebring driven by a 31 year old man, traveling west on the 101st Airborne Division Parkway at a high rate of speed crashed into the rear of the pickup near the intersection of Peachers Mill Road. 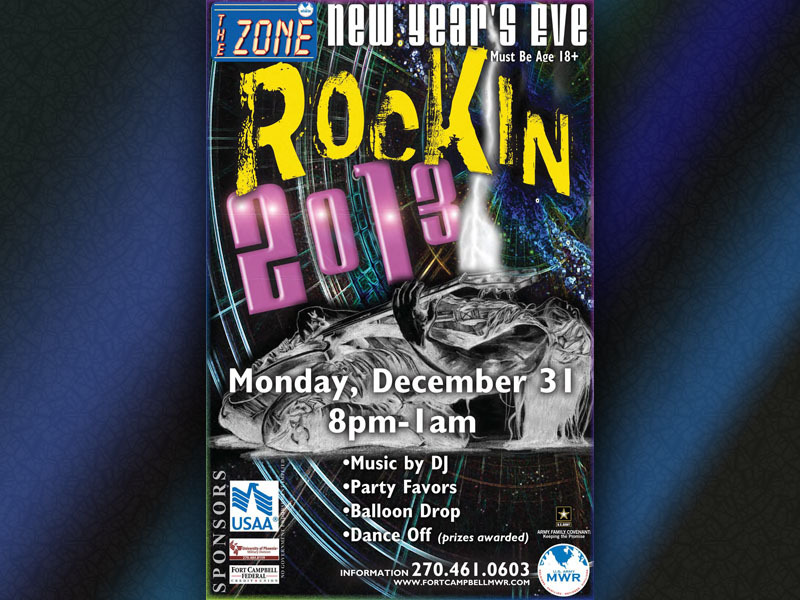 Fort Campbell, KY – Come out and welcome in 2013 with a rockin’ party at The Zone. The party gets going at 8:00pm and lasts until 1:00am. There is no cover charge and they will have music by a D.J., party favors, a balloon drop, a “Dance Off” with prizes, and fun for all! Starting at 8:00pm the first 100 people will receive a $5.00 voucher for use on food and beverages. 2012 New Year’s Eve party at The Zone. 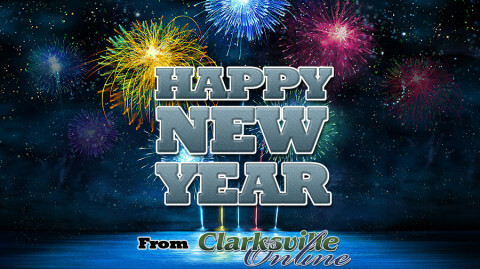 Clarksville, TN – On New Year’s Eve, the Clarksville Transit System will again offer safe rides home. “Operation Safe Ride” is a free service open to anyone who is too impaired to drive home. 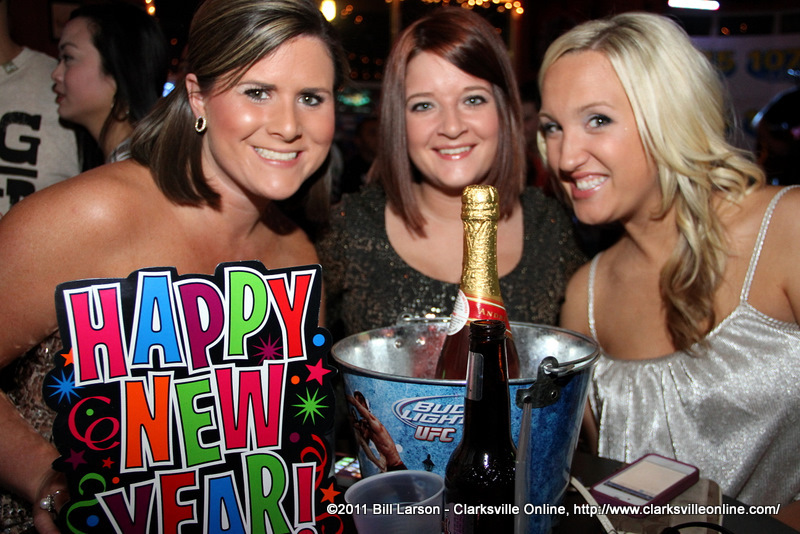 People who live within the Clarksville city limits can call for a ride between the hours of 11:00pm and 4:00am for a ride home. Fort Campbell, KY – The staff at Fort Campbell Riding Stables has a love for horseback riding and they want to share it with you! 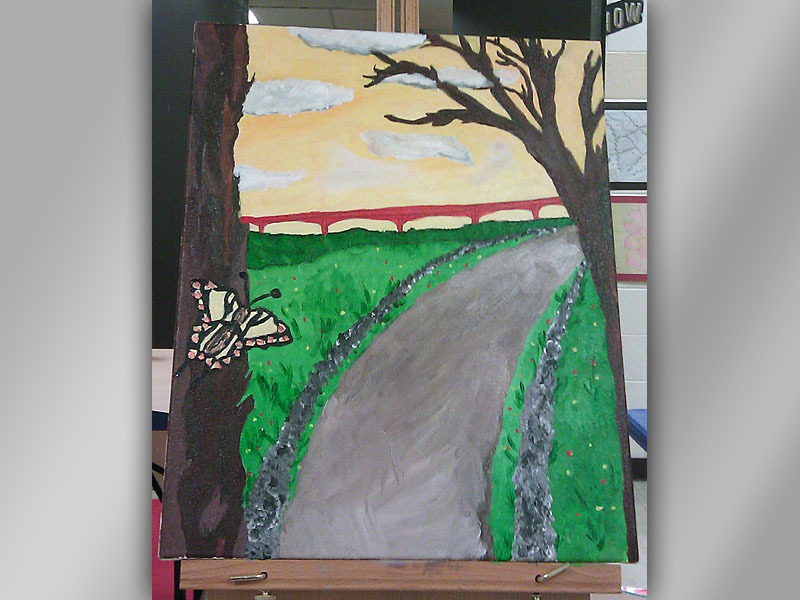 Clarksville, TN – A new program will be offered by the Clarksville Parks and Recreation Department, the Cumberland Arts Experience, at the Kleeman Community Center located at 166 Cunningham Lane.